Designer Carol Lim and Humberto Leon are collaborating over a designer wear collection that will be called Kenzo & H&M collection. The ad campaign for this collaboration along with a lookbook was launched in July and the main launch will take place in the month of November. The ad campaign features Chance the Rapper, Iman and Suboi. 90’s Fashion Trends in Vogue! The French fashion house and Swedish street giant collab is creating a lot of buzz around especially regarding the expected price that items in this collection are going to cost. Last year around the same time H&M presented its collection which was in collaboration with Balmain. The prices of both these collection fall almost in the same range. Presenting you some some pictures from this year’s lookbook. The collection comprises of an interestingly designed multi printed, layered dress that costs around $549. To match it up with something, the collection has a puffer jacket for $349 and an oversized faux leather jacket in black color with pink shearling costing for about $399. The accessories are available at a reasonable price tag. The sunglasses will be available for $49.99. 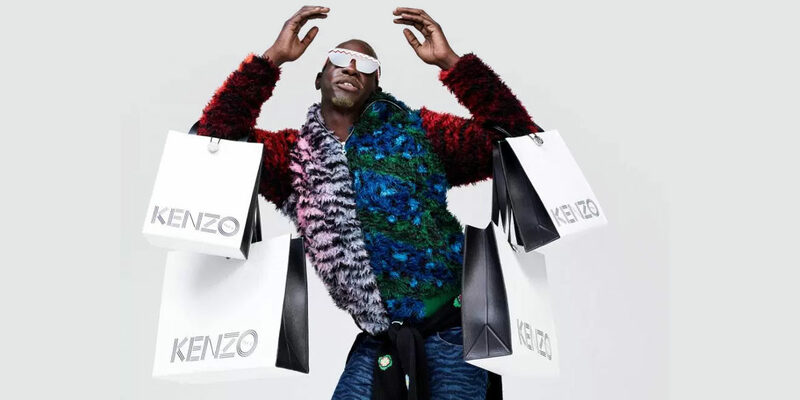 The fantastic Kenzo tote bags cost $249 and $129. If you like patterns, layers, and multi-colors, you are going to love this collection. The lookbook for the collab was shot by Oliver Hadlee Pearch. H&M is known for its interesting picks when it comes to models and celebrities. This year the creatives continue with the same pick, adding a bit of edge to it by also including a writer, an activist, a DJ, a makeup artiste along with models for the lookbook shoot. 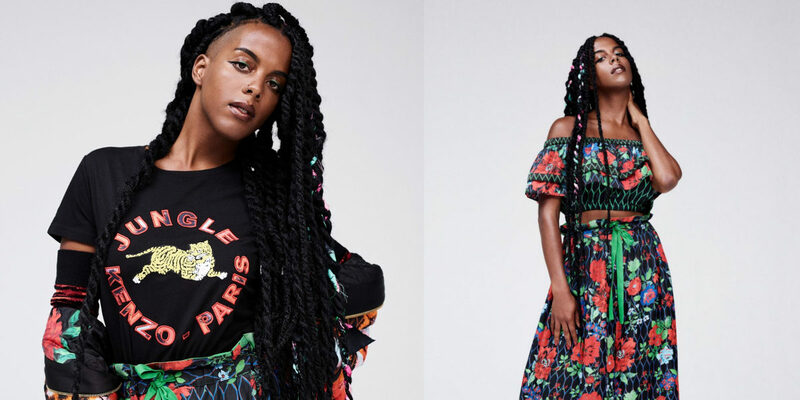 The lookbook features writer and activist Amy Sall, makeup artist Isamaya Ffrench, rapper Le1f, fashion editor Harriet Verney, DJ Juliana Huxtable, musician and artist Oko Ebombo, musician Anna of the North and artist Ingrid. The models featured in the lookbook are Hao Liu, Mae Lapres, Tom Gaskin, Julia Banas, Selena Forrest, and Pierre Painchaud. The collection will be available worldwide in 270 selected stores. The collection goes online on 3rd Nov 2016 and you can check in out and make your purchases at hm.com.